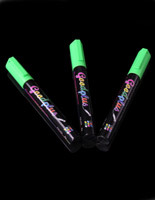 These chalkboard pens are provided in packs of three for customer convenience. 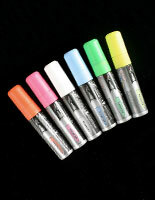 This way, promoters do not have to worry about having extra markers on hand if one runs out. 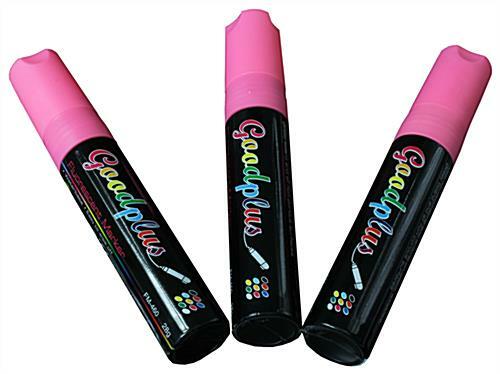 The chalkboard pens, or liquid chalk sticks, supply the perfect means of developing brilliantly colored advertisements that garner lots of exposure. 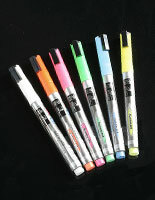 The writing utensils work for tons of applications, and they are commonly seen around theatres, clubs, restaurants, bars, and retail shops. 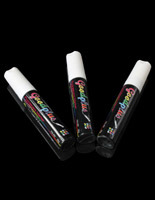 The chalkboard pens feature wet-erase technology so they can be applied to just about any non-porous surfaces, including glass, acrylic, and other smooth materials. The chalkboard markers are very popular for those using an LED write-on panel because the programmable illumination effects actually change the color of the ink! 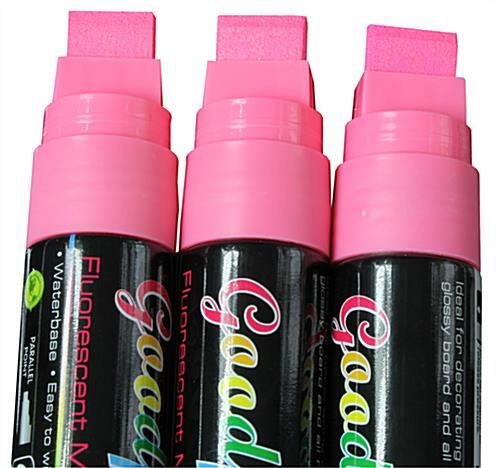 The chalkboard pens are quick drying so that the ink goes on smoothly but does not run. Many traditional chalk sticks will leave residue behind or result in dusty conditions, but the bright sticks offer a cleaner solution. 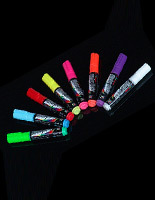 The chalkboard pens have water-based ink that is not toxic and is safer to use around small children. Why choose a marker that emits harmful fumes when there is such a great alternative? 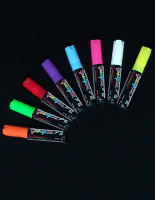 In fact, the chalkboard pens are frequently used in educational and residential environments for that reason. 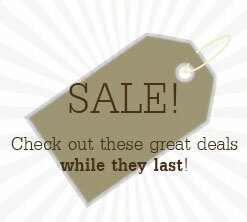 Take advantage of the water-based ink, negligible cost, and fast drying formula by ordering these incredible writing tools.